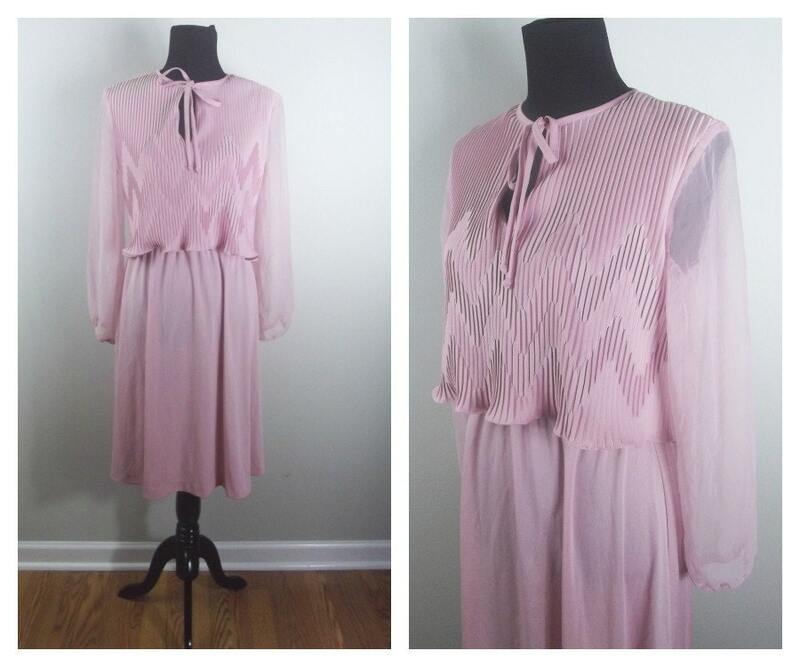 Gorgeous light pink 70s dress with stunning accordion pleating detail throughout - especially in the bodice, where pleats form a chevron pattern. Very feminine, sheer long sleeves, keyhole tie in the front neckline. Ethereal!